With just hours to go before Game 7 of one of the most closely contested World Series in baseball history, the Houston Astros have been dealt a crushing blow that could seriously derail their hopes of winning it all. 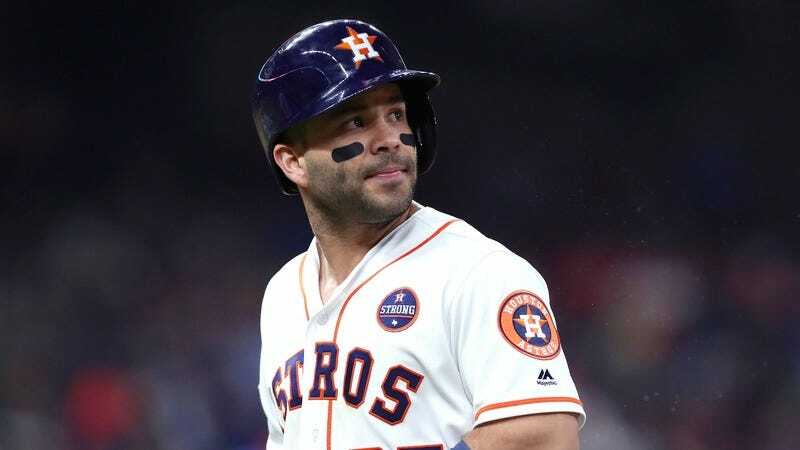 According to an official team statement, Houston’s All-Star second baseman José Altuve will be unavailable to play this evening because he absentmindedly scheduled a vasectomy for today and now refuses to pay the cancellation fee required to get out of the surgery. The American League MVP frontrunner reportedly scheduled the procedure all the way back in April, forking over a nonrefundable $500 down payment to secure a time slot with an in-demand doctor who is regarded as a pioneer in the field of minimally invasive outpatient vasectomies. Unwilling to forfeit the $500 required to reschedule the appointment, Altuve reportedly informed the Astros coaching staff early this morning that he was moving forward with the surgery and would be unable to suit up for Game 7 because he would be receiving his vasectomy while the game was in progress. While this is a major disappointment for the Astros and their fans, the one silver lining is that Altuve did say that he would be watching the game on TV from his hospital bed while he recovers from his vasectomy and that he would be rooting hard for the Astros to pull off a Game 7 victory. The Houston slugger also stated that if the anesthesia by some chance wore off before the game was over, he would theoretically be open to suiting up for a pinch-hitting situation in the eighth or ninth inning, provided he didn’t have to run or do anything that could possibly aggravate his swollen testicles. With Altuve batting .324 this postseason, and six RBIs and three home runs in his last seven games, there’s no question that his absence will be felt in the Astros’ lineup during his vasectomy. However, you can’t knock the guy for doing what he believes is best for his health. Here’s hoping he makes a full recovery from his sterilization procedure and is ready to lace up the cleats again by opening day next year!